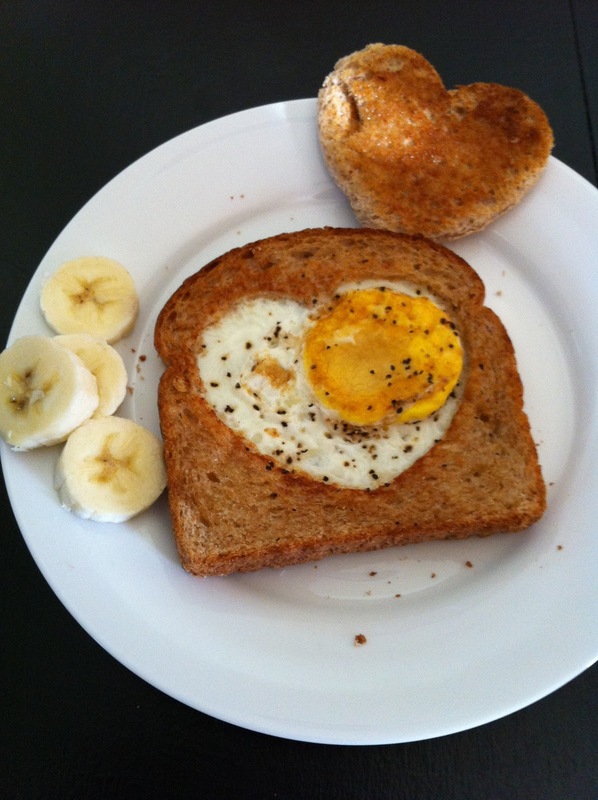 Cut a hole in the center of a slice of bread with a small heart-shaped cookie cutter. Spread both sides lightly with butter and place in a pan on the stove top that has been heated on medium. 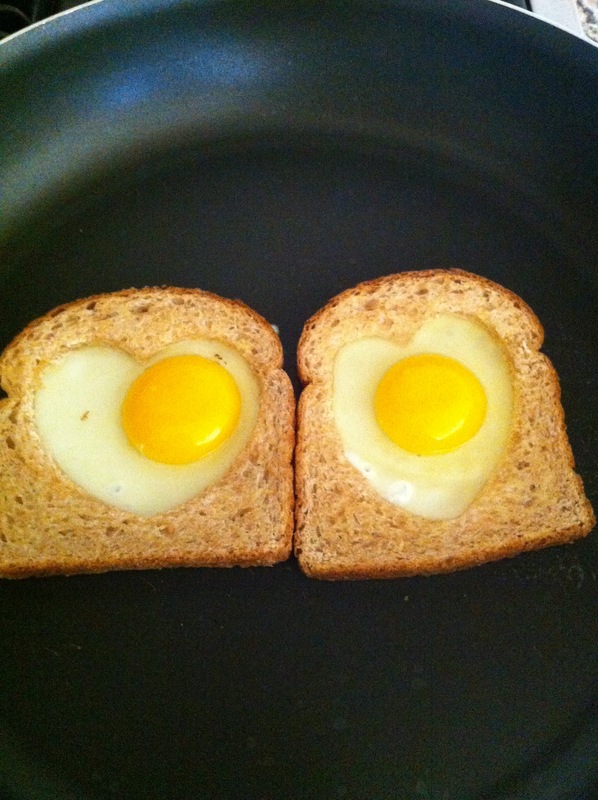 Crack an egg into the heart-shaped hole. Cook until almost set, 4-5 minutes. Flip and continue cooking for another minute or so. Adjust the cooking time if you want them a little runnier so you can dip your toast! Too early to make a shoe selection so check back on Monday! We love to make "birds nests " they are super fun for holiday breakfasts (change the shape of the cut out)!!! Yummy!!!!! Oh good idea to change the cut out shapes Karen!!! Love it...have a great weekend! Super cute! I will definitely try this one!